‘Be Curious’ reached over 700,000 YouTube views within 4 days of going live. That’s huge! Humood has seen success like this before. His previous track Kun Anta was the most popular track by Awakening Records after Ya Nabi Salam Alayka by Maher Zain. The song is in Arabic but contains a two-word English hook: ‘Be Curious’. This track emphasis the importance of seeking knowledge, the starting point of which is… being curious. There are several verses in the Quran and Hadith strongly emphasising the importance of seeking knowledge. The benefits of seeking knowledge are vast, and entire nations can do wonderful things by increasing their knowledge. Many Muslim nations used their knowledge to invent and these inventions are used by the modern world today. You’ll be surprised to learn about them. Algebra is the basis for programming, which powers the modern technology we use today (including your phone!). Al-Khwarizmi wrote a book titled “Kitab al-Jabr Wa l-Mugabala”, which introduces the beginnings of Algebra. Our world takes the telling of time for granted, but who invented clocks? Sun dials were the first clocks, but these only worked during the day. Al-Jazari took the first steps to introducing a continuous automated solution. He was a pious man and understood the importance of needing to know the time in order to prepare for religious acts, such as salah. This resulted in the invention of the Elephant clock. 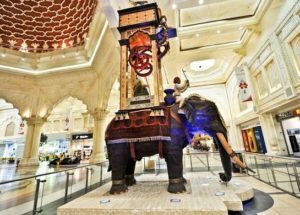 The Elephant clock was a large statue of an elephant, inside which was a bucket. The bucket was filled with water and contained a small hole. Water would slowly trickle out of the bucket until it reached a point where it was too light against the counter weight, causing it to drop on the hour, every hour. This resulted in a ‘dong’ sound. A man named Khalid was grazing his goats one day, and noticed they became very lively after eating a particular berry. The berries were boiled and called “al-qahwa”, now known as coffee. 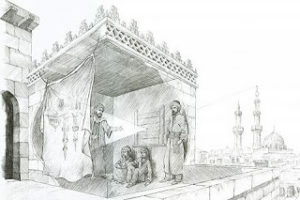 Ibn al-Haitham developed a theory of light that was against the popular belief at the time. The theory was that light bounces off an object and enters the eye. He proved his theory by creating a dark room with a pinhole, which projected objects from outside onto a white sheet. He called it the “qamara”. The idea of keeping clean is something we all learned at a young age. As a result, it’s hard to think of it as an invention and we usually dismiss the idea as common sense. However when Islam was being introduced into the world, keeping clean was not a common practise. This was a time of Vikings, who were known for their lack of hygiene. The Muslims would purify themselves through wudu and created soap (by mixing oil and salt), as they understood the importance of keeping clean for Salah and entering Masajid. Planes help us get from one place to the other, and may even help Humood travel around the world to perform his new track! 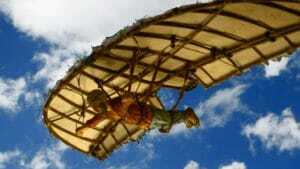 But did you know a Muslim invented the first form of flying machine? Abbas ibn Firnas designed a suit which resembled a bird outfit. He made an attempt to fly, travelled upwards for a few seconds but then crash landed and broke his back. His attempt may not have been successful, however the design of this machine has influenced later attempts to create a successful machine. The early Muslims were eager to travel, for both trade and religious reasons. One of the 5 pillars of Islam is Hajj and therefore it was vital for them to navigate to the Kaba. They started recording their routes and transmitting the knowledge through word of mouth. The invention of the paper was a huge step in map building, and the first maps were produced in Baghdad in the 8th century. This one might be surprising. Music is a debated area amongst Muslims as some hold a firm belief that Musical instruments are haram, while others disagree. Many take a middle path by allowing the duff. In addition to this, the Muslims created a number of musical instruments. Nasheeed Artist Yusuf Islam / Cat Stevens has picked up the guitar again after finding out that it’s roots may lay with the Muslims. Full article on Music in Islam: Is Muslim Halal or Haram? Awakening Records clearly put a lot of hard work into their videos, and this one is no exception. The video is well-produced, colourful and directly relates to the song. First Humood walks through a room full of books. Learning through books is of great importance, and helps increase knowledge. The Islamic Music Hub was set up to strengthen the bridge between Islamic music and Quran/hadith. Therefore all points made about religion on this site have a reference to back them up, and nothing is said without citation from a book. Glasses are often associated with increased intelligence, and Awakening make use of this in both the video and cover art. Humood is presented with glasses, and wears them while leaning about the wonders of the universe. Learning about science and space can help increase our understanding of Quranic verses related to the topic. For example, the Quran teaches that the universe is expanding. Did you know this fact has been confirmed by modern science today? Before this scientific fact was known, some translators would translate the word ‘Expanding’ as ‘made it vast’ (or ‘expanded’) as that made more sense to their understanding of the world. However the term (Mousi’oona) refers to the process of expanding, which makes more sense in light of new knowledge. We all love food. In this room Humood learns how to make a healthy looking meal. It’s important to eat healthy not just for the many benefits to our body, but also because Allah teaches us to eat well. One might ask what defines ‘good’. This information can be obtained by seeking knowledge. We can also gather a deeper understanding by looking at the life of the prophet. Watch this video – it gives a great explanation of how the prophet lived, and the kind of food he would eat. The message of this song is excellent for young children. It’s through curiosity that they interact with their surroundings and are able to learn, and make sense of what is around them. In the background we see an abacus, an old instrument used for counting before the invention of the calculator. This was used in the west before adoption of the Arabic numeral system. It was the Arab Muslims who invented algebra and took the world of mathematics to a new level as previously discussed. Try Amazon Music and listen to ‘Be Curious‘ on your mobile today. Lyrics to ‘Be Curious’ by Humood below. The translation and Arabic text have been included. This ruling applies to all Muslims regardless of age, gender or ethnicity. Knowledge topics could include: Knowledge about Allah, Knowledge on how to pray, Knowledge on the world and how to purify the heart. We all love to travel for fun. Knowledge of different cultures and ways of life are usually the by-product of travelling. The Quran encourages us to travel for the purpose of seeking knowledge too. It seems knowledge does not mix with hide and seek. So why not spread it? The Quran actually teaches that spreading knowledge is a requirement for being successful on that day. knowledge about the truth in particular. Modern science has developed over the years, allowing us to learn more about the amazing universe we live in. The Arabic word for sun is ‘Shams’ meaning tourch or lamp. i.e the source of light. The Arabic word used for moonlight is ‘Muneer’ or ‘Noor’ which means body of light, or reflected light. The moon actually reflects sunlight, and therefore it is accurate for Allah to use this terminology. Science teaches that the universe was once joined at a single point, and then expanded. The Quran confirms this 1400 years ago. It also provides the source of life in the same verse as water. Modern science has found that Iron is not native to Earth, but came down in the form of meteoroids. The fact that the Quran mentions that Iron was ‘Sent down’ is highly accurate. In summary, there are clearly many benefits of seeking knowledge. Knowledge helps to invent, reflect and learn. 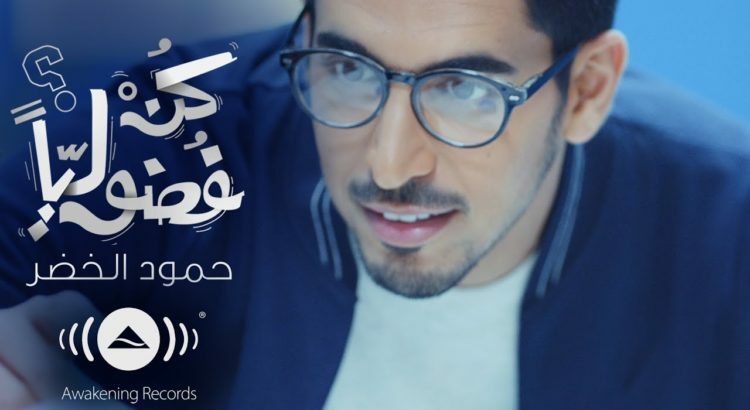 By producing a song that encourages knowledge seeking, Humood may have given a motivational boost to the Arab Muslim world, preparing the younger generation to invent once again. I’d love to see more songs like this in the future, and looking forward to seeing if it breaks a record.